Nuraghe complex, prehistoric Sardinian structure. 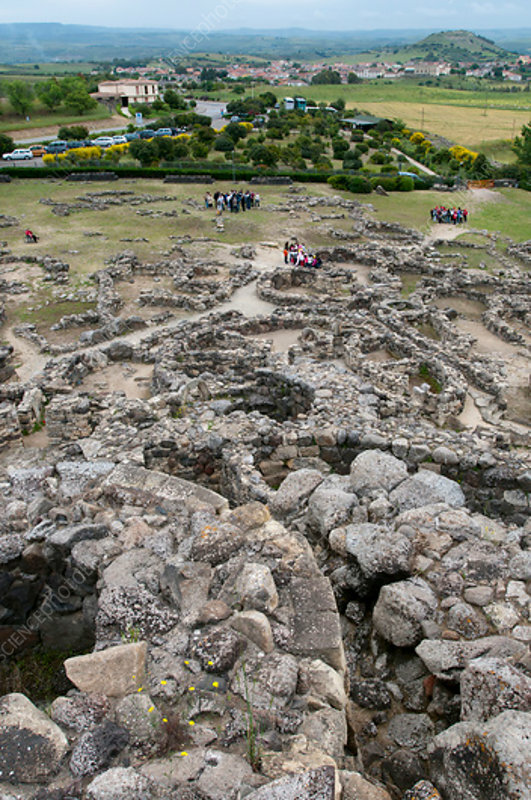 Ruins and surrounding countryside from the tower at a nuraghe complex, a type of ancient megalithic structure found on the Italian Mediterranean island of Sardinia. They were built by the Nuragic culture, which dates from the 18th century BC. This is the Nuraghe Su Nuraxi site, which dates from around the 13th to 6th centuries BC and is located at Barumini, Sardinia. It is a UNESCO World Heritage Site.